Every angle has a reflex angle. The sum of an angle and its reflex angle make a full circle, or 360°. 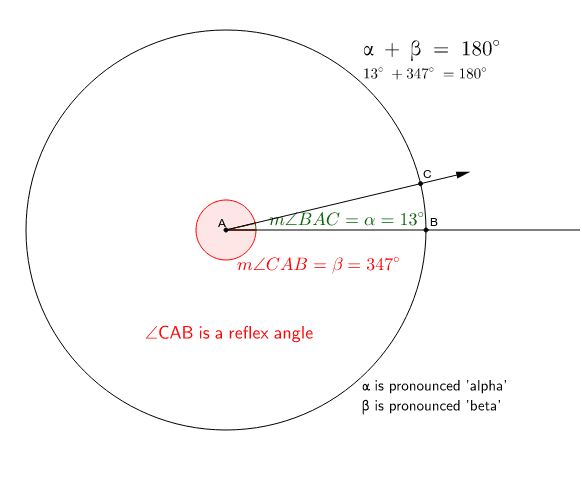 Greek letters are used as variable for angle measurements. By convention, we name and measure angles, especially angles within a circle, counterclockwise.